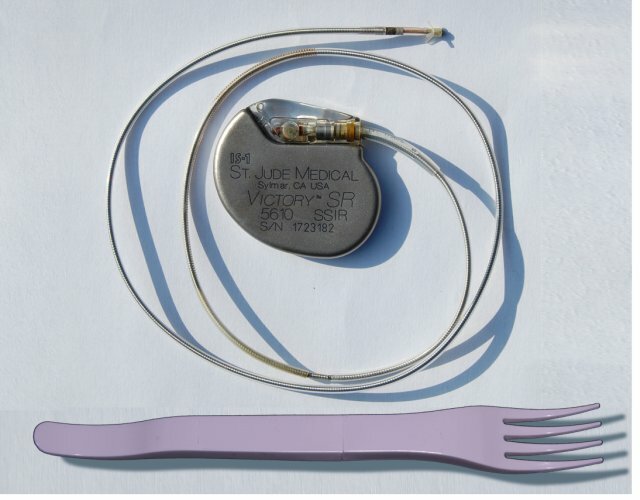 Pacemaker and plastic fork. Based on two images: File:Pacemaker GuidantMeridianSR.jpg by J. Heuser and File:Fourchette démontable en plastique 2.jpg by Lionel Allorge. Both and licensed under the Creative Commons Attribution-Share Alike 3.0 Unported license and available at the Wikimedia Commons.